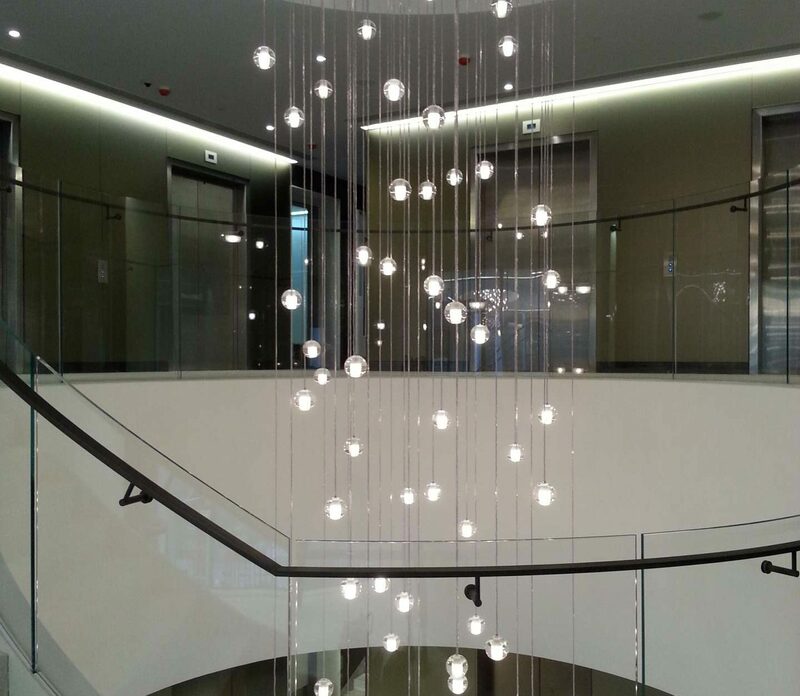 ​We manufactured spectacular chandeliers for a globally recognised major name in the finance sector. 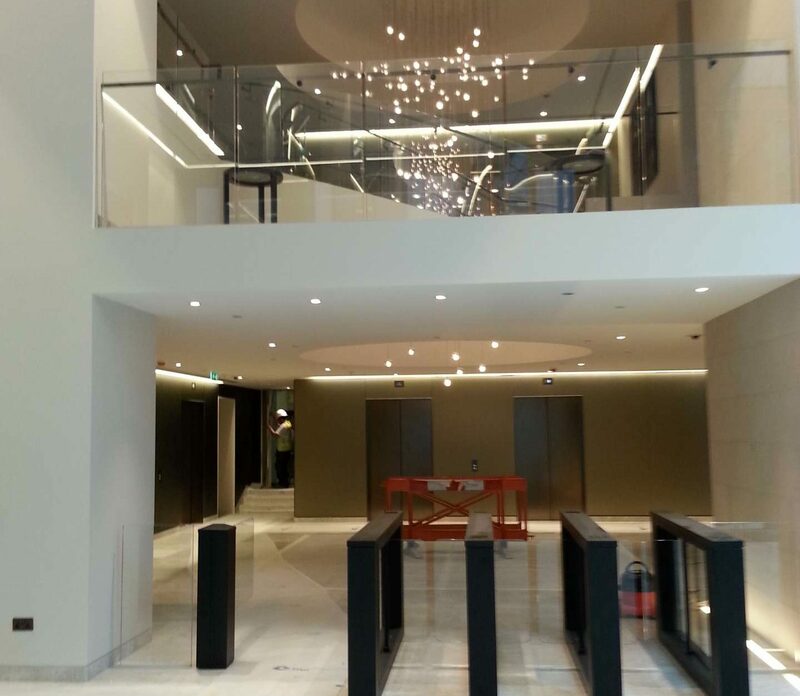 Their architectural and interiors advisors tp bennett wanted lighting that was both unique and eye catching for the reception of their client’s offices in London. The result was these amazing sculptures in metal and glass some 5.5m high and 2.5m wide, which we are sure you’ll agree certainly met the design brief for big and beautiful.